Before Christmas, we noted that PortSide New York would be holding its annual Operation Christmas Cheer on Christmas Day. 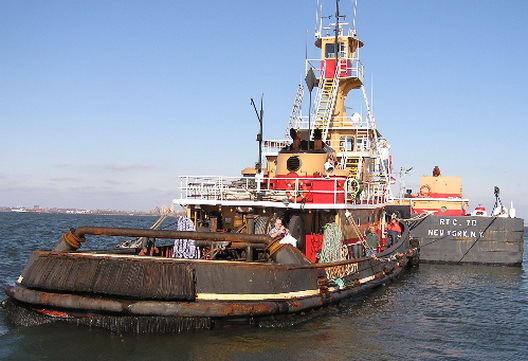 That's a wonderful event where volunteers bring cookies and newspapers to crews on tugs and barges working New York Harbor on the holiday. The cool blog Tugster has posted some photos of the day. Check them out.